Community Event Submission Guidelines: This page was designed to promote community-oriented events open to DeKalb County residents. 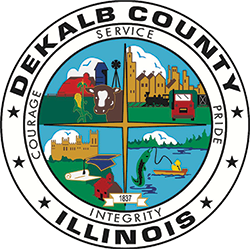 DeKalb County reserves the right to refuse or edit any submission made for the community events calendar. 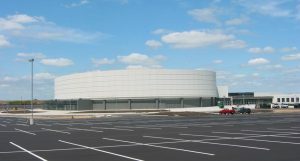 The Convocation Center is located on NIU’s West Campus, north of Lincoln Highway, south of the soccer fields and west of Huskie Stadium. The Convention and Visitors Bureau (CVB) serves as the first point of contact for meeting planners, sports tournament directors, tour operators, special event planners, and leisure travelers. Visit DeKalb County for a unique getaway experience rich in history and cultural diversity. Explore our natural beauty, which is founded in the rich soil of our agricultural roots. Hike, bike, camp, golf, fish, canoe, or sled. 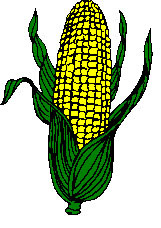 Pick your own apples and pumpkins or discover the thrill of running through corn maize. Enjoy a relaxing wine tour or tasting. Visit our museums. Shop for hidden treasures and antiques in our historical downtown shopping districts. Explore all the festivals and annual events. We invite you to come and get away…Stay and play…Make new friends and memories in DeKalb County. We’re only 60 miles west of Chicago and offer affordable family-fun all year long. We look forward to your visit. Events include: Kid’s pedal pull, Flea market, Arts and crafts displays, Toy show/sale, Antique tractors, Antique trucks,Hit and miss engines, Equipment demonstrations, Corn shelling, Saw Mill, tractor parade, tractor ride (Sunday), food vendors and tractor parade. Enjoy the annual three day event taking place in the Village of Somonauk the last weekend in July. There are a variety of events including a parade, RE/MAX Balloon rides, cruise night, car show, antique baseball games, craft show, ISP Truck and Tractor Pull, beer garden and live music as well as volleyball and bean bag tournaments, plus plenty for the kids. Contact Somonauk Village Hall at 815-498-3500 for info and tournament applications. Waterman Lion’s Community Park located south of Rt. 30 on Birch St. This is an all day family affair running from 6 a.m. to 11:30 p.m. with food, music, entertainment, farm tractor pull and fun for all. Plus, there will be hot air balloon rides on a weather permitting, first come basis. The fair is “family-friendly”, and throughout the 10-day fair (normally in August), each day will spotlight a different focus, including: county fairs, local officials, veterans, senior citizens, youth, park districts, families/violence prevention, and agriculture. 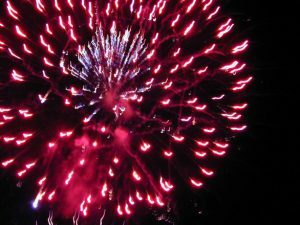 This annual five-day event in the City of Sandwich starts on the Wednesday immediately following Labor Day and runs through Sunday evening. This annual event is held the 2nd Sunday of September. Check out historical information on the Pumpkin Festival.